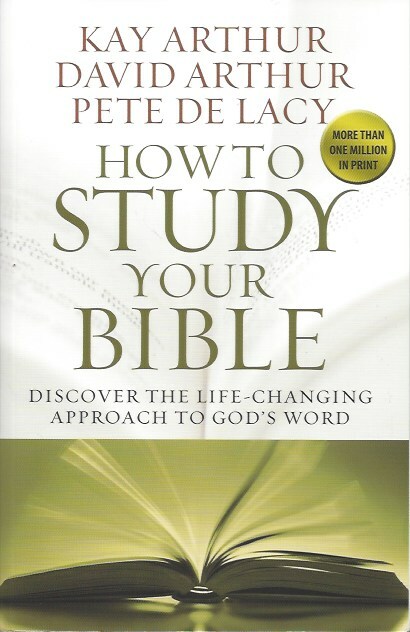 First out of the gate for books that I’ve read this year is How to Study Your Bible: Discover the Life–Changing Approach to God’s Word by Kay Arthur, David Arthur & Pete DeLacy. I have to admit that I cheated a bit on this one. This book is put out by Precept Ministries, founded by Kay Arthur. I went to their website and took two of their courses: 1) Why Study the Bible Inductively and 2) Using the New Inductive Study Bible. The first one was free, the second cost me $30. It was well worth the cost. Using the book of Haggai as the text David Arthur leads you through 27 lessons that teach you how to use the New Inductive Study Bible—learning the inductive approach to Bible study is the goal of the book. 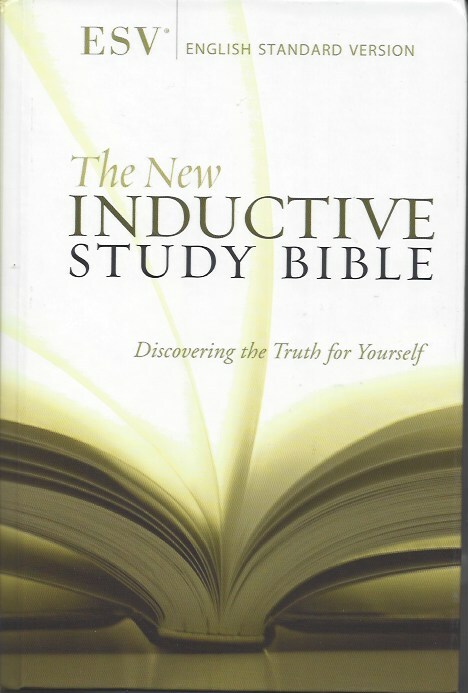 So, while I did not read How to Study Your Bible word-for-word, I got the gist of it by taking the Using the New Inductive Study Bible course. I supplemented my online course with the book and found it very useful. A review or discussion of this book without a review of the New Inductive Study Bible (NISB), would be incomplete. Shortly after buying How to Study…, I ordered a NISB in the English Standard Version (ESV) translation. I almost did New American Standard (NASB), but I’ve been reading ESV longer than any other translation and getting the NISB in NASB would have been purely nostalgic, as the NASB was my first Bible after I became a Christian. I LOVE this Bible. For the first week I was hesitant to mark in it. I didn’t want to mess it up. But after a few days I took the plunge. Even then I wasn’t really using their marking system—more like notes in the margin. But, when I took my notes from the online course on Haggai and put them into my NISB, exciting things began to happen. They (Precept Ministries) say that reading the Bible inductively and marking what you read will open up the Scriptures in exciting new ways and they are right! Man-O-man, I learned so much about Haggai (be honest, have you read Haggai, do you know it’s message?) that I didn’t have a clue about before. Oh, did I mention the wide margins? They advertise them at 11/2 inches, but my measurement is closer to 11/4 . Even so, they are nice and wide and great for jotting down notes, lists, etc. from the text. Perhaps the best part (aside from the Scripture) is the material preceding each book of the Bible: 1) a concise introduction; 2) Things To Do; 3) Things to Think About. If you follow the instructions in these sections, you will come away with a good understanding of that book. 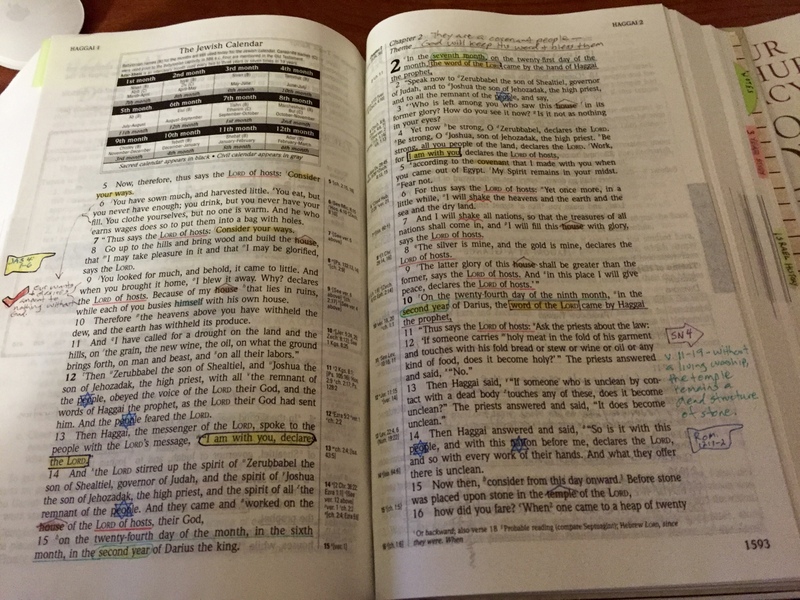 There’s also a bevy of material at the beginning of the Bible (including a condensed section on How to Study…. Then at the back there are several pages for more extensive notes than I’d want to put in the margins, plus an excellent concordance. It would be nice if the paper was a bit more opaque; I’ve also read in some reviews that the binding is glued, not sewn, leading to some people experiencing loose pages. So, far I haven’t had that experience. In Hebrews we read: For the word of God is living and active, sharper than any two- edged sword, piercing to the division of soul and of spirit, of joints and of marrow, and discerning the thoughts and intentions of the heart. (Hebrews 4:12) This Bible, brings the Word alive for me.